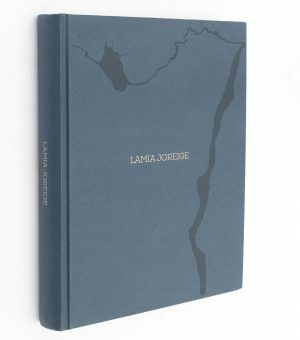 This book is the first monograph of the work of Lamia Joreige over the past 20 years and includes essays by Patricia Falguières, Rabih Mroué, and Ghassan Salhab, as well as conversations with Etel Adnan, Kader Attia, Lav Diaz, and Charbel Haber. Born in Beirut in 1972, Lamia Joreige is a visual artist and film-maker who lives and works in Beirut. She earned her BFA from the Rhode Island School of Design, where she studied painting and film-making. She uses archival documents and elements of fiction to reflect on history and its possible narration, and on the relationship between individual stories and collective memory. Her practice, rooted in her country’s experience, explores the possibilities of representing the Lebanese wars and their aftermath, particularly in Beirut, a city at the center of her imagery. Her work is essentially on time, the recordings of its trace, and its effects on us. Etel Adnan (b. 1925, Lebanon, lives and works in Paris, France) is a Lebanese-American poet, essayist, and visual artist. In 2003, Adnan was named “arguably the most celebrated and accomplished Arab American author writing today” by the academic journal MELUS: Multi-Ethnic Literature of the United States. Besides her literary output, Adnan continues to produce visual works in a variety of media, such as oil paintings, films and tapestries, which have been exhibited at galleries across the world. Her writings often address and protest against the turmoil of the Vietnam war, the Lebanese Civil War, and the tragedy of the Palestinian people. Her poetry and visual works are also informed by her relation to landscape, which for her is mingled with memory and a sentiment of displacement, since she was born and raised in Lebanon, but has lived, studied, and worked in France and California throughout her life. Charbel Haber (b. 1978, Lebanon, lives and works in Beirut, Lebanon) is a Lebanese musician, composer and visual artist from Beirut. He has collaborated with a number of artists, film-makers and playwrights. Haber has performed widely in Lebanon and abroad, as a member of post-punk band Scrambled Eggs, and as a solo artist. His prolific and collaborative career also includes ambient duo The Bunny Tylers, free improvisation group Johnny Kafta Anti-Vegetarian Orchestra, psychedelic Arabic music ensembles Malayeen and Orchestra Omar, as well as collaborations with Oiseaux-Tempête, Mondkopf, Mats Gustafson and Eddie Prevost He is the founder of Those Kids Must Choke and co-founder of Johnny Kafta’s Kids Menu—two experimental record labels. Kader Attia (b. 1970, France, lives and works in Berlin and Algiers), grew up in Paris and in Algeria. His experience of these different cultures has fostered Kader Attia’s intercultural and interdisciplinary approach to research. For many years, he has been exploring societies’ perspective on their history, especially with regard to experiences of deprivation and suppression, violence and loss, and how this affects nations’ and individuals’ evolution. His socio-cultural research has led Kader Attia to the notion of Repair, a concept he has been developing philosophically in his writings, and symbolically in his oeuvre as a visual artist. In 2016, Kader Attia founded La Colonie, a space in Paris to provide a forum for discussion and sharing ideas, with a focus on decolonialization. Kader Attia’s work has been widely shown internationally, and he has been awarded the Marcel Duchamp Prize, the Miró Foundation Prize, and the Yanghyun Art Prize. Lav Diaz (b.1958, Philippines) is an independent Filipino film-maker who has been making films since the 90s. Diaz’s films confront the history, struggle and traumas of his country, raising the question of what it means to be a Filipino today. His work investigates the country's past as marked by Spanish colonization (1521–1898), American rule (1898–1946), Japanese occupation (1942–1945) and Ferdinand Marcos’ fascist dictatorship (1972–1986). His films have received many awards and international acclaim. Death in the Land of Encantos, (2007) and Melancholia (2008) both won awards at the Venice Mostra. Norte, the End of History, was presented in the Un Certain Regard section of the 2013 Cannes Film Festival. His 2014 film From What Is Before earned him the Golden Leopard at Locarno Film Festival. In 2016, A Lullaby to the Sorrowful Mystery won the Silver Bear Alfred Bauer Prize at the Berlinale and The Woman Who Left, won the Golden Lion at the 73rd Venice Mostra. His latest film Season of the Devil is competing for the Golden Bear in the 2018 Berlinale. Diaz is the recipient of a Guggenheim Fellowship (2010), and a Prince Claus Award (2014). Patricia Falguières is a professor at the École des hautes études en sciences sociales (EHESS, The School for Advanced Studies in the Social Sciences) in Paris. Her work has primarily concentrated on philosophy and the art of the Renaissance and its classifications, encyclopedias, indexes and the birth of the museum in modern Europe, as well as Mannerism. She is also active in the field of contemporary art, through articles and essays, monographic publications, and writing on conceptual art, the relationships between art and theatre in the twentieth century. She contributed to the French critical edition of Brian O'Doherty's Inside the White Cube (2008). She runs several history and art theory research programs. She instigated the Lectures Maison Rouge series at the Maison Rouge, Paris, and co-directs the Something You Should Know seminars at the EHESS with Élisabeth Lebovici and Nataša Petrešin-Bachelez. In 2011, the Centre Pompidou organized a program of lectures and encounters offering perspectives on history and art criticism entitled According to Patricia Falguières.